God of War, though the title would suggest a reboot, is the latest game in the series of the same name. 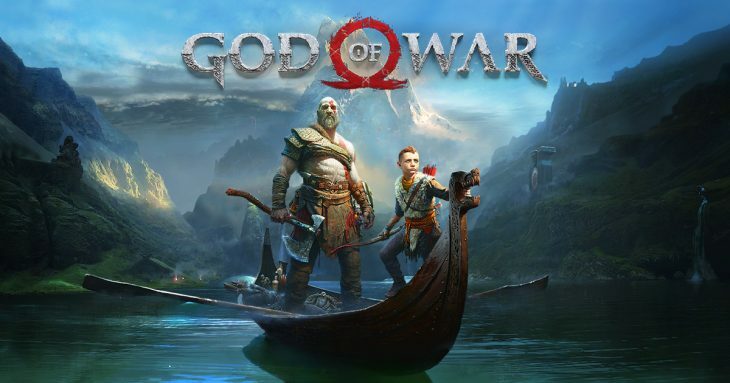 In this title the series has undergone some massive changes, moving to a new location and using Norse mythology, giving Kratos a beard, and introducing Kratos’ son, Atreus. This game has been highly-anticipated since it was announced, but now fans and critics have got it in their hands what do they think of it? Metacritic is currently showing an incredible score of 94 out of 100 for God of War, and near perfect at that. This shows that most critics have enjoyed the game and posted a review of the same or a similar number. Of these reviews there are, at the time of writing, no mixed or negative ones, only positive. Most games that review well receive at least a few, maybe 10 percent of the overall reviews, mixed reviews. Far Cry 5 for example had 10 mixed reviews, but arguably offers more content and more hours of gameplay to players. Gamespot praise Santa Monica Studios with 9 out of 10 for taking the leap with the God of War series in this game, bringing it up to date with the expectations of gamers today. While God of War isn’t a reboot it does revamp the series in many much needed ways, while holding onto tropes and systems that matter to the core concepts. Kratos is still angry yes, players will still crush, kill, and destroy huge towering creatures of myth. But Kratos is also now less the hardened god slayer he was, softened by fatherhood and the life he’s lived with a wife by his side, something that’s never been seen before in God of War. A perfect score of 10 out of 10 isn’t something that’s awarded often, but here IGN have been happy to do so. Not only to they also sing praises for the developer on the move to Norse mythology and the decision to make this game a continuation instead of a reboot, but they also compliment every single day of the five years of development that went into it. The environments are a particularly outstanding point for IGN, each one carefully crafted and beautifully rendered to bring this world seeped in Norse myth to life. The Guardian calls God of War a technical marvel, a benchmark against which all future games are going to be judged, marking it with 5 stars. The slick transitions between Kratos and Atreus make for cinematic and satisfying gameplay, while the combat is still as rage fueled and brutal as ever. Offsetting the usual lack of humor and hopelessness towards the world is a character who doesn’t feel like an annoying sidekick, rathe the focus of the story. As the game progresses Kratos tries clumsily to reach out to his son, but doesn’t have a clue how to. The dynamic between the two turns Kratos’ attitude towards the world into a running joke whilst still making it feel like a relationship is forming between this distant father and his son who feels as though he isn’t wanted. Eurogamer gave God of War their highest award in their three tier review system. However, their review doesn’t seems to be as glowing as with other critics, Ultimately they say that the basics have not been fixed because they were never broken, such as beating an enemy until a cinematic kill can be performed, or huge monsters being taken down by a single man. While the new God of War brings the series into the current generation with better visuals and a new story and environment, it hasn’t moved on much since the first game. Another perfect score of 5 out of 5 here from the Telegraph who thoroughly enjoyed God of War. They talk about how the combat, while different from how it’s been in previous games, is still as satisfying as ever but seems to add a layer of challenge if players want to juggle enemies and rack up the cinematic kills. They also comment on how the risky move to make this a sequel and not a reboot has paid off massively, bringing to life the largest God of War game yet at around 30 hours by the time the credits roll. GamesRadar give the game another glowing review, with 5 out of 5 score, stating that they didn’t think it was possible to overstate just how good God of War is. They say that the combat is a spectacle and something to be admired as players battle their way through hordes of enemies. They also say that the environments are stunning, bringing in influence from open world RPGs with wide open spaces and collectibles lurking in secret spaces hidden everywhere. The two bad points relate to puzzles, which they say aren’t always clear as to which tool you need to solve them at first, and that the upgrade system is at first a little confusing.